American Axle & Manufacturing is in talks with prospective manufacturing tenants to be located at its former manufacturing grounds near the company’s Detroit headquarters. The supplier tore down seven of its nine plants on its Detroit campus in 2013 and sold the land to Industrial Reality Group. 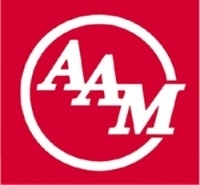 American Axle now is working with the firm to entice one or more other suppliers to bring manufacturing operations to the extra 192 acres of land, American Axle spokesman Chris Son said in an interview. Son would not identify which suppliers American Axle is in talks with. The Detroit Free Press reported the story late Thursday. The new manufacturing operations on American Axle’s Detroit campus could add up to 900 manufacturing, material and logistical jobs, Son said. The supplier also announced a $20 million investment in its new Advanced Technology Development Center on the Detroit campus last year, an operation expected to bring in about 100 engineering and technical jobs. Son said the technical center is expected to open later this year. When American Axle’s manufacturing operations in Detroit were in full swing, the seven plants employed more than 2,000 workers.